Grand Macnish became the fine Scotch Whisky that it is today because of his belief of concocting a lighter whisky. After much sampling, a recipe was found using over 40 single whiskies. 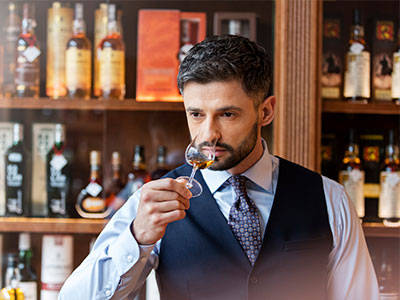 The percentage of each used varied according to weight, flavor and aroma, the resultant whisky being much lighter than straight malt, although retaining the exquisite flavor of the finest Highland Whiskies.